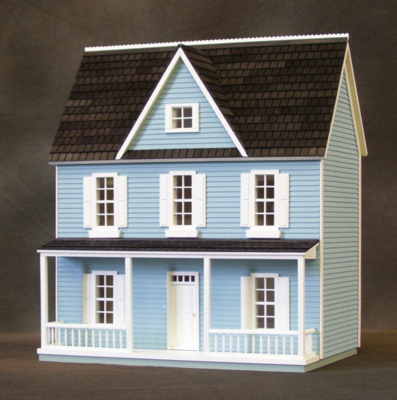 Presenting the 1/2 inch scale Classic Bungalow dollhouse kit. 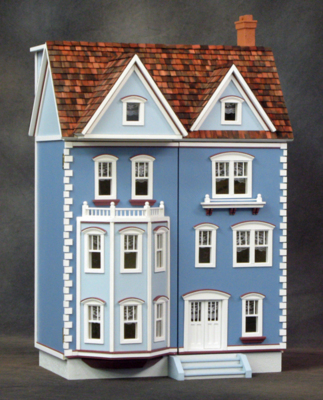 Another great addition to the RGT family of fine dollhouse kits! 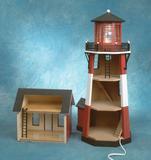 Now featuring our brand new 1/2 inch scale Oval Light Door. 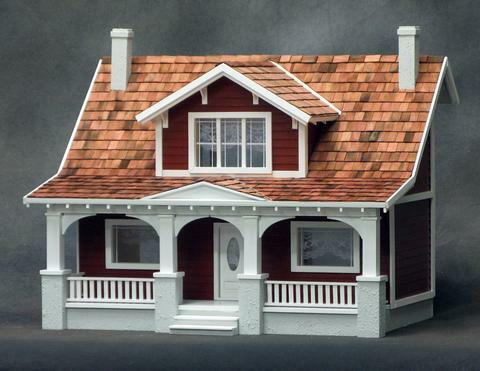 This 1/2 inch scale dollhouse has the most inviting porch! Just imagine sitting in a rocking chair or porch swing on a warm summer night. 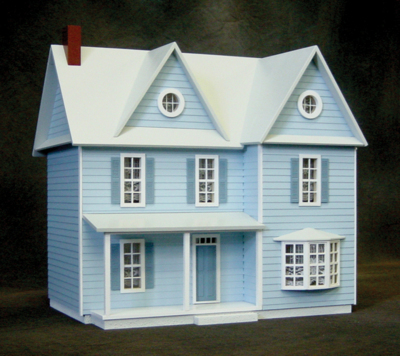 The 1 inch scale Classic Bungalow dollhouse kit is already a proven best seller and we’re sure the 1/2 inch scale kit will follow in it’s predecessors footsteps! 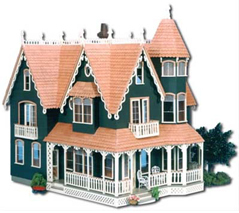 (4) Porch Posts and (6) unique arched supports are provided and may be assembled in several different ways…you get to choose! Milled Plywood exterior walls are ready to paint! 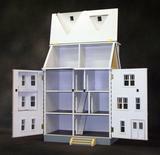 4 1/2″ Floor to ceiling height on the 1st & 2nd floors. 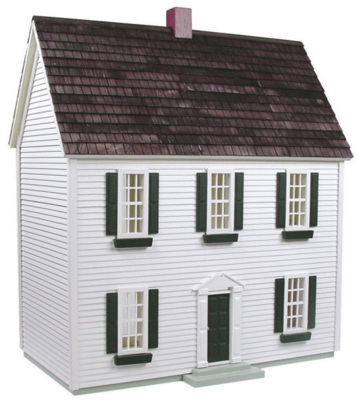 The attic is a 5″ floor to ceiling height. 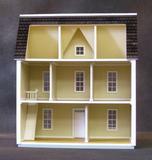 With the 1/2 inch scale East Side Townhouse dollhouse kit you have choices! 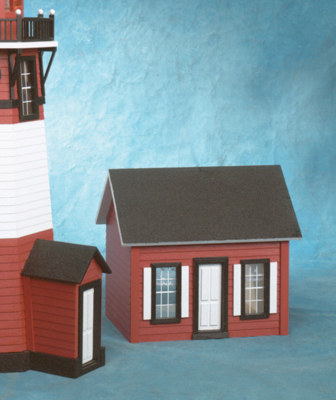 The bay front can be assembled with the bay set up or down. Instructions and all necessary parts are included … so you get to choose! 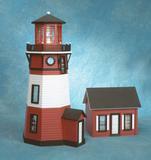 What would the New England Lighthouse dollhouse kit be without the 1/2 inch scale Keeper’s House dollhouse kit? 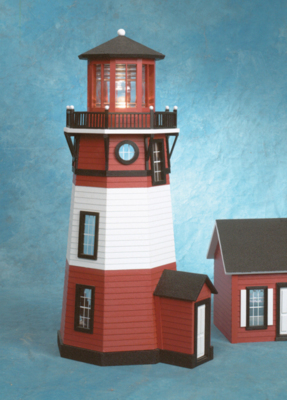 This adorable, two room dollhouse goes hand in hand with the lighthouse.